Can I just say how much I adore this pattern? 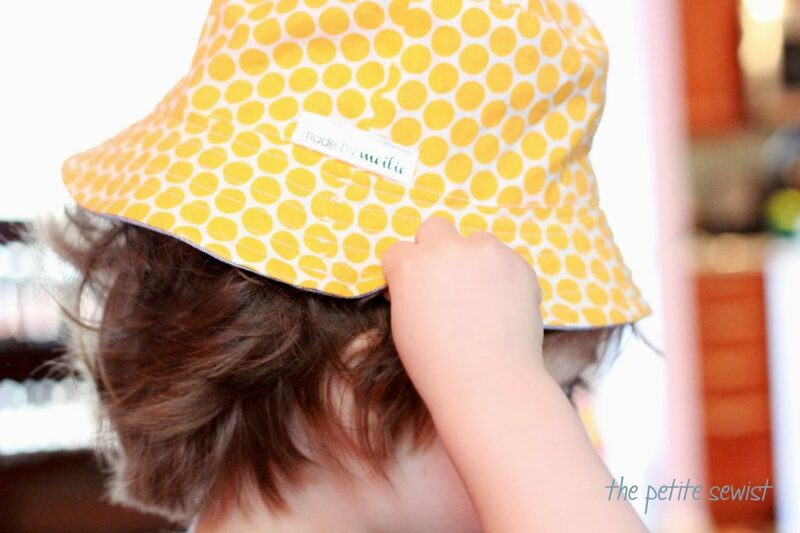 It is so hard to find a good free child’s hat pattern online. This one is so amazing I wouldn’t have minded paying for it. 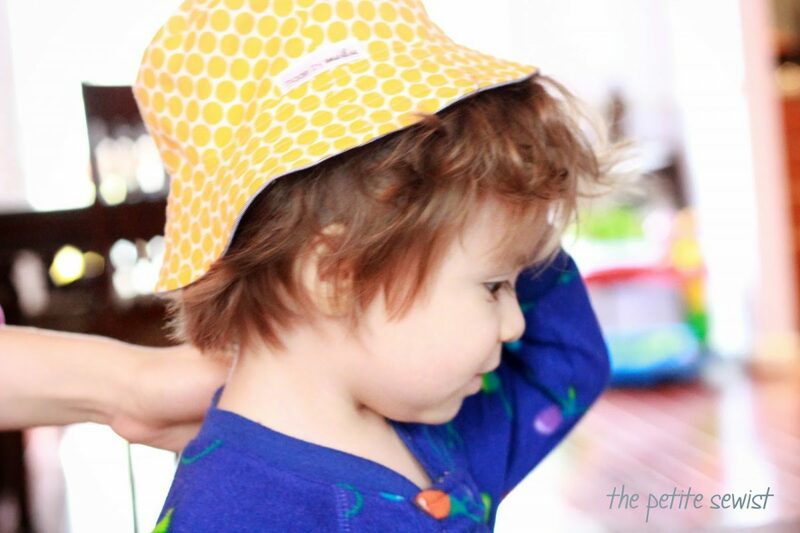 The first toddler hat pattern I tried was a disaster. 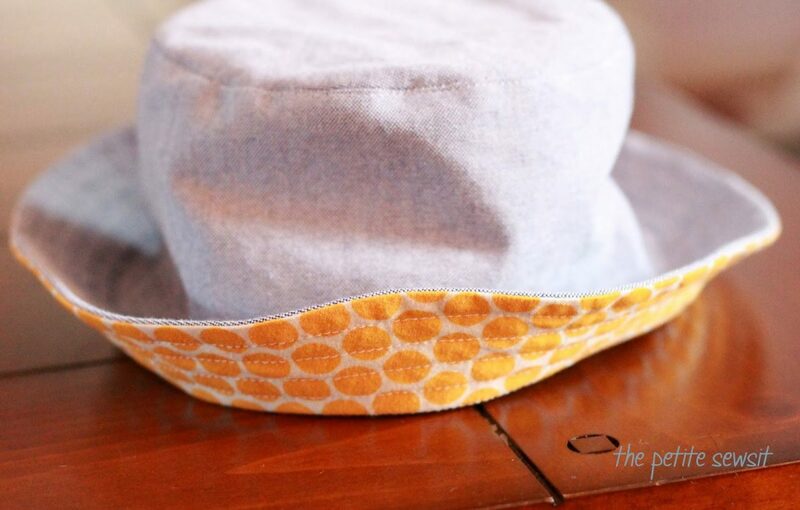 The top of the hat consisted of 4 triangles sewn together…I guess to make a round shape…?? Instead it looked like four flappy triangles sewn together maybe to make room for 4 floppy ears attached to one’s head. Not my style. Not at all. I made this for my friend’s 2 year old boy. We stayed with her family while we visited around Northern Virginia and D.C. I will use nicknames here. The hat fit GoGo, but he wasn’t in the mood for a photo shoot. This is probably the best picture I got of him wearing it. This one isn’t too bad, either. Crazy boy just wanted to watch a YouTube video! “Me deja ver el video, guys!” I know, adults are silly, huh? So, we put it on his 6 month old sister. If we played ‘who wore it better,’ I think she would win. My favorite design detail is the topstiching all along the brim of the hat. 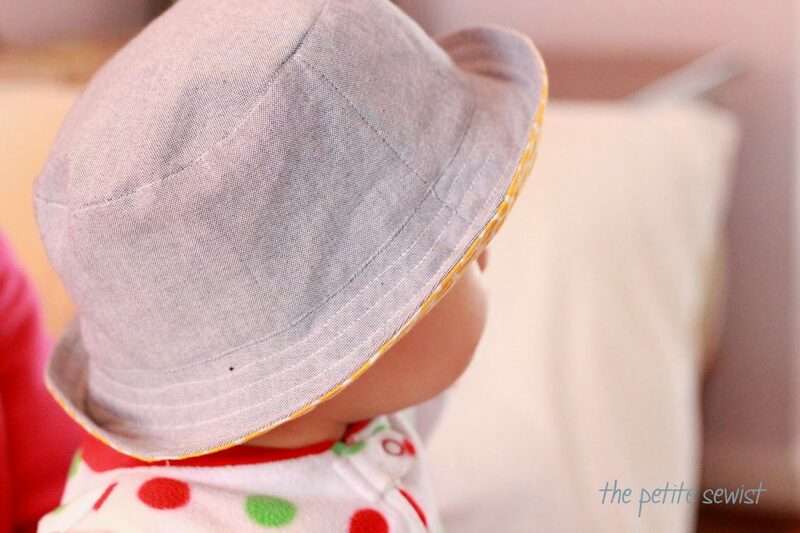 At six months old, the hat is a little big for Chicis, but the fit is not bad. I wish I had gone up a size for GoGo. 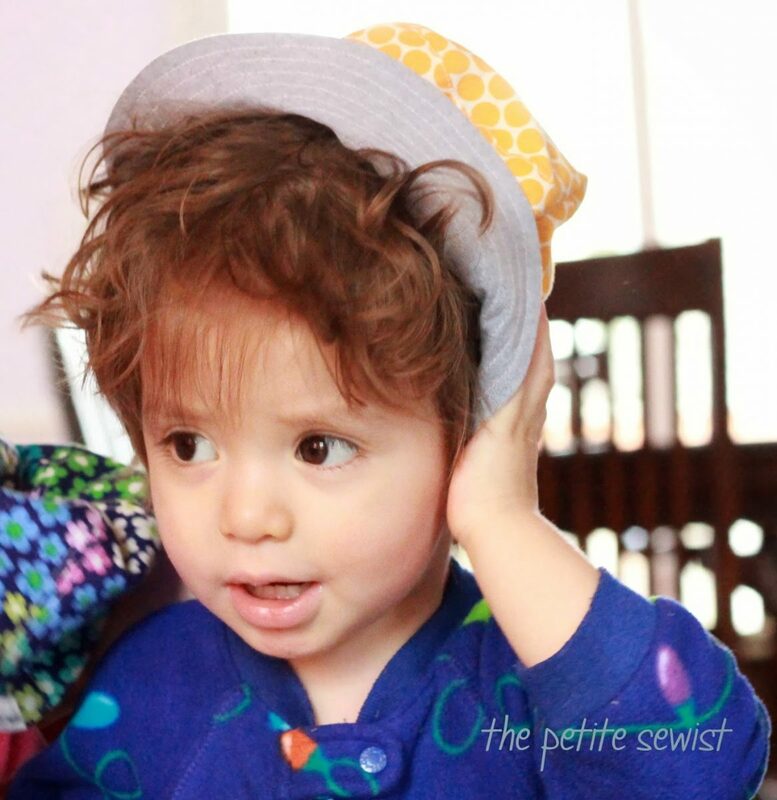 I gained an appreciation for sewing bloggers who photograph their children. Sometimes they just gotta wiggle! What a great hat! I’d love to make it again. I wish it came in my size…my bucket hat fell off at Clear Creek in Golden, Colorado last summer. I wonder how many flip flops, sunglasses and hats end up at the bottom of Clear Creek.